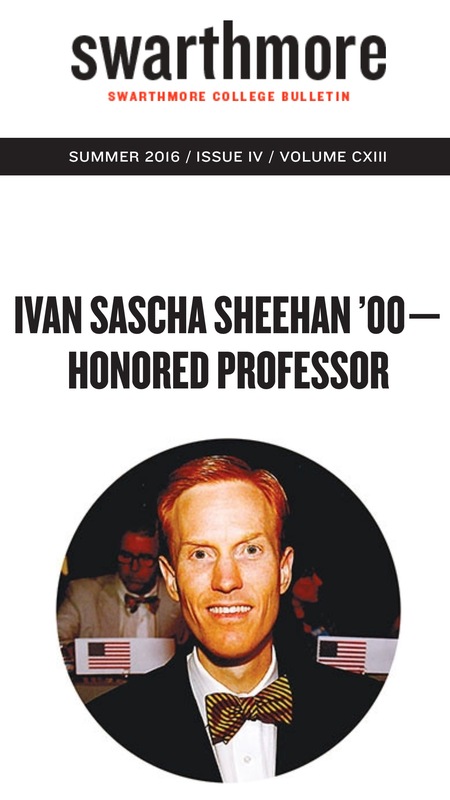 On April 22, 2017, Dr. Ivan Sascha Sheehan – Associate Professor of Public and International Affairs – welcomed journalists to an advance screening of National Geographic Channel’s LA 92, a riveting new documentary featuring archival footage of the L.A. uprising by Oscar award winners Dan Lindsay and T.J. Martin. The film, which debuted at the 2017 Tribeca Film Festival, premiere’s nationally on the National Geographic Channel on 30 April at 9 PM ET. 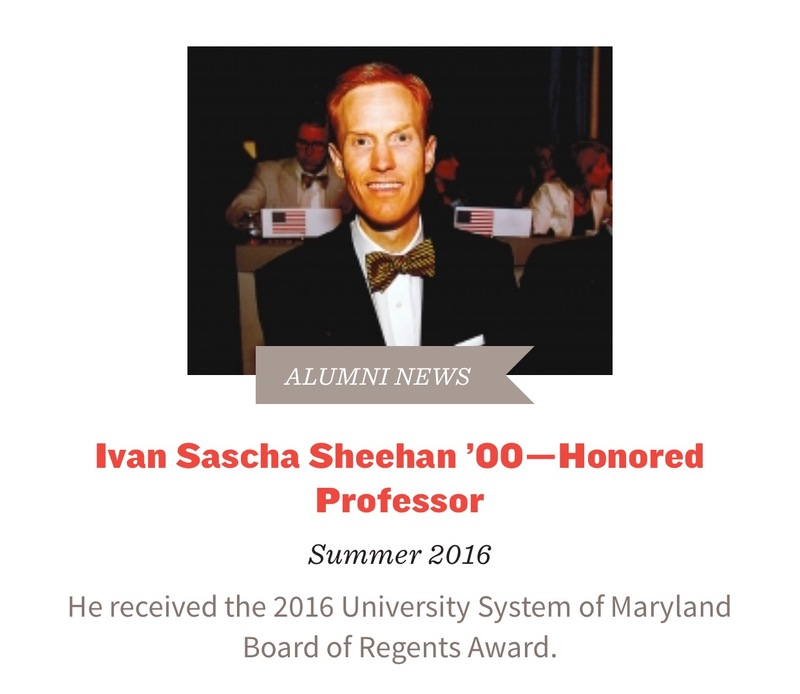 Dr. Ivan Sascha Sheehan – Associate Professor of Public and International Affairs – was named to the University System of Maryland Chancellor’s Advisory Committee for the programs of the Baltimore Council on Foreign Affairs. The Council’s mission is to facilitate a serious, comprehensive, and coherent public discussion of American Foreign Policy by convening distinguished authorities to address contemporary global issues. Learn more about BCFA in their Winter 2016-17 Newsletter. 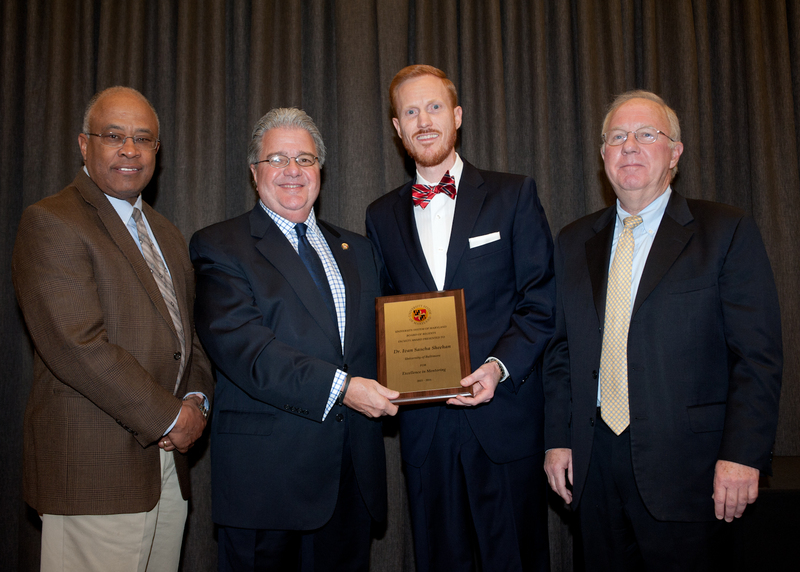 His Excellency Jalil Abbas Jilani, Ambassador of Pakistan to U.S.
On April 15, Dr. Ivan Sascha Sheehan received the 2016 University System of Maryland Board of Regents Award. 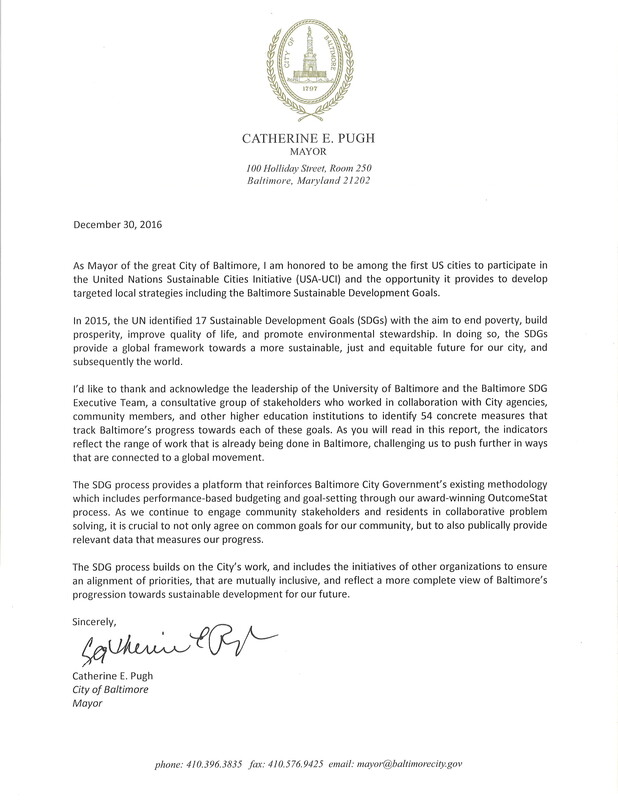 The award is the highest honor presented by the Board of Regents within the university system. 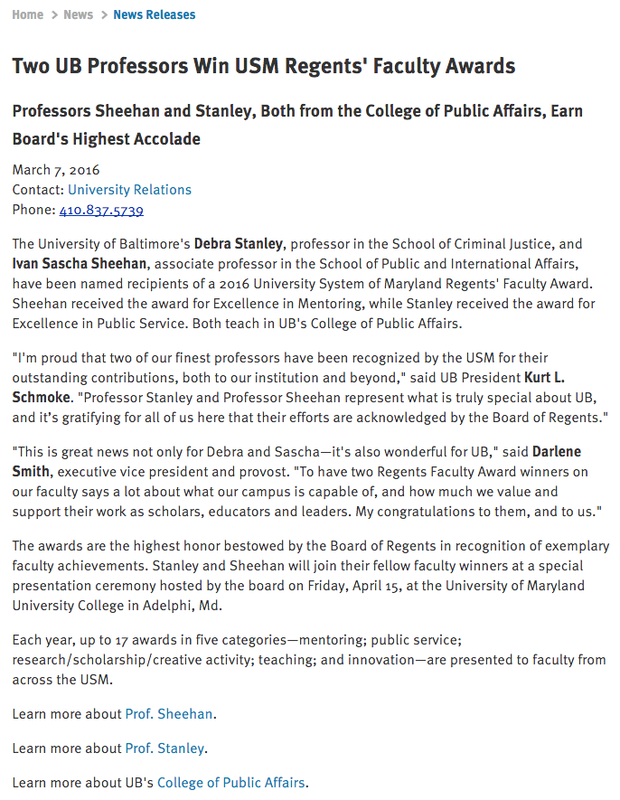 In this video excerpt, the Chairman of the University System of Maryland Board of Regents, James L. Shea, is speaking; the Chancellor of the University System of Maryland, Robert L. Caret, is standing next to Dr. Sheehan; and University of Baltimore President, Fmr. Mayor Kurt L. Schmoke, is on the left of the screen. 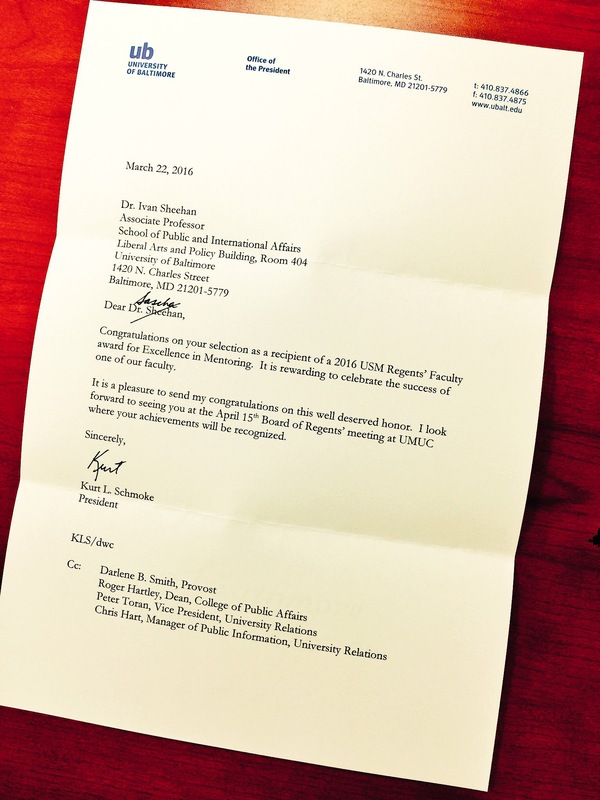 Learn more about the recipients of the 2016 USM Board of Regents award here.